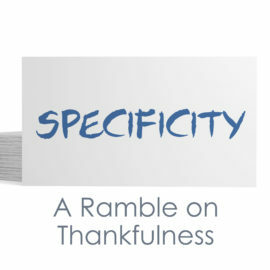 Three readers talk about the difficulty of being thankful. 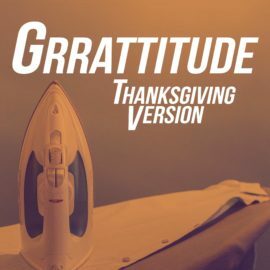 As they list off things they’re not grateful for, it leads to the things that we should all be grateful for, starting with God’s promises to us. Rick and Toodie Narraway (Ask for Directions) learn to give thanks “in all things.” Great illustration for a Thanksgiving message/discussion. 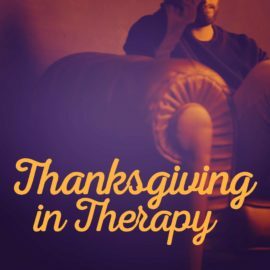 When Thanksgiving has been feeling bad about himself, he goes to see a therapist. He’s concerned about the stress he causes people, but is encouraged when the therapist reminds him to count his blessings. 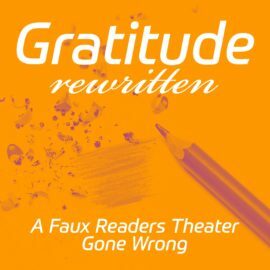 In this skit, a reader’s theater goes awry when two of the readers take it upon themselves to make some edits to God’s Word, in an attempt to be more “real” about gratitude. 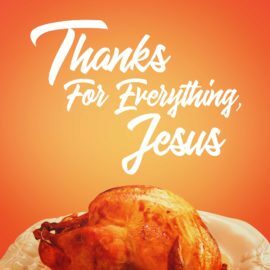 As Abby sits down for Thanksgiving dinner with Jesus, she’s faced with the difficult reminder that we are to be thankful for everything—even the things that are unpleasant or painful. Nine lepers are healed from their leprosy by Jesus, but their hearts remain in need of change. In a fit of Thanksgiving spirit, an everyday guy takes time out from his busy holiday to take a little drive-thru gratitude to the Lord. But when he tries to get the angel Gabriel to help him with the delivery, he repeatedly discovers that it’s a thankless task. 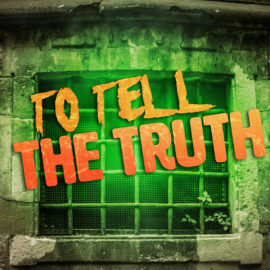 A spin on the old Frankenstein movie, a thankful believer is led to a “torture chamber” by Igor, but cannot be swayed to crack under the pressure. 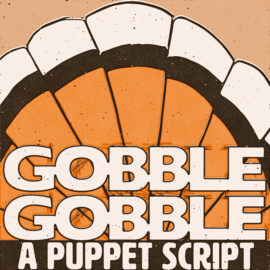 This script is perfect to segue from Halloween/Fall Festival into Thanksgiving. 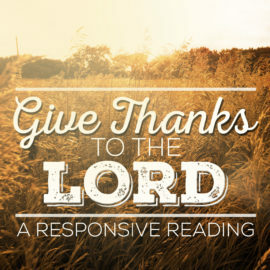 A responsive reading praising God for who He is and all He has done for us as we celebrate Thanksgiving. A script on being thankful in culture of consumption. 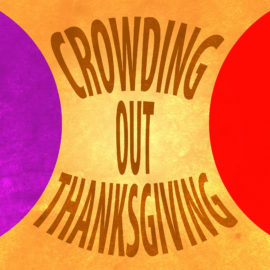 Halloween, Thanksgiving, and Christmas discuss which is the best holiday on a radio program. 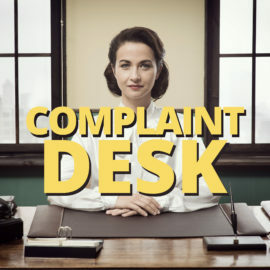 Mrs. Wilfor is busy taking complaints when a person arrives to give an unexpected praise report. When Mike and Jami sit down for their Thanksgiving dinner, Jami's prayer reflects more of a what they don't have than what they do. Bob's writing thank you notes, but totally missing the point. Are we being intentional with our thanks? 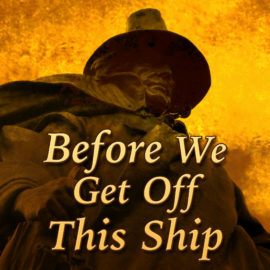 William Bradford, transported through time, explains the history and importance of the Mayflower Compact...and the importance of being united. 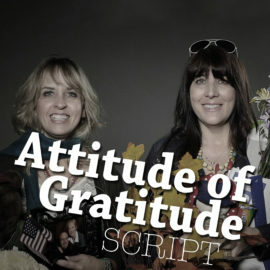 This script is perfect for a Thanksgiving event or even a July 4th celebration at your church. 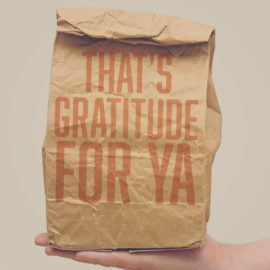 It's so easy to be thankful for all of our blessings, but what if we actually put shoes on our gratitude and took it out for a walk?